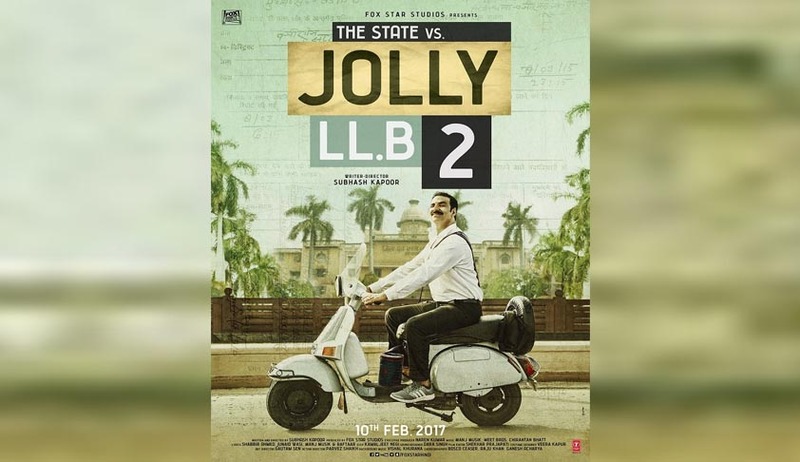 A division bench headed by Justice SS Shinde of the Aurangabad bench of the Bombay High Court has ordered four cuts in the upcoming movie Jolly LLB 2, holding that these scenes “defame” the judiciary. This order came in the light of a report filed by a three-member committee that was appointed by a bench previously headed by Justice VM Kanade. The committee has deemed four scenes in the movie as defamatory to lawyers. These four scenes in the movie are- the dias scene(where a judge hides behind the dias), the shoe scene(a shoe is hurled at a judge), the signalling scene and a particular dialogue(Kya akkal ladai hai?). This committee comprised of Senior Advocates RN Dhorde, VJ Dixit and Dr. Prakash Kanade as its members. Although a certificate has already been issued by CBFC to the film, a fresh certificate will have to be issued in light of the HC order. Producers of the film, Fox Star Studios moved the Supreme Court challenging the January 27 order of the Bombay HC order to appoint a three-member committee to review the film. However, in a setback to the producers, Supreme Court refused to order the release of the movie and permitted the three-member panel appointed by the Aurangabad bench of the Bombay High Court to view it today afternoon and ascertain if it showed any scenes denigrating the judiciary. The bench of Justices VM Kanade and Sangitrao Patil had said, “We have seen the photographs; one of which shows a lawyer jumping on the dais and arguing with the judge. The second photograph shows the judge hiding below the dais and passing some orders by banging the gavel on the table.” With this, the court felt that “prima facie, though the above referred photographs do indicate total disrespect or disregard to the high office of this court, we cannot jump to that conclusion unless the contexts in which these scenes are shown, are examined in their proper perspective”. Hence the committee was appointed.